There’s a mountain of data to make use of, but few truly stunning solutions to choose from technology wise. 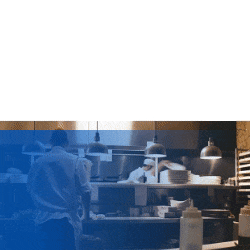 What’s worse, the trend has set in motion a sort of subculture of advocates that profess data solutions are a “cure all” remedy for every hospitality affliction. The reality is, not every problem is needs a high tech “data solution.” Something called “big data paralysis” that leaves hotels handcuffed, unable to make the necessary choices for sound practice. Here’s some insight on what data analysis tools should and shouldn’t be applied to. In this insightful article by Kelly A McGuire, PhD, Executive Director, Hospitality and Travel Global Practice, SAS, the author makes a strong case for what we can call “gradual adaptive analytics strategy.” Dr. McGuire tell us that trying to deploy “too much technology, too fast” can be worse than deploying none at all. Her argument is correct if we center the discussion on personnel adaptability to tech and change, and the misuse of technologies overall. Put simply, McGuire favors a gradual move from the excel spreadsheet methodologies, and gradually toward SAS and cloud solutions, before hotels jump into back-end infrastructure data storage, etc. This is the point of pain SnapShot has witnessed these last months. Not every hotel business can ramp up to optimal data analytics, either because of their infrastructure, or because of the costs involved. Secondly, McGuire is not alone in suggesting that Big Data needn’t be used for every problem. Too often marketers over sell data analysis products, it’s a bit like snake oil sales out there right now. McGuire equated improper tech use to “killing a mosquito with a sledgehammer.” Add to this the special problems such as data database management, server management, software development, and business analysis skills that exist for most hoteliers, and there’s the potential for huge mistakes. Here’s some things no business should expect Big Data to solve by itself. Big Data won’t solve your business problems – your people solve business problems using Big Data. Of course these are just a few of the issues Big Data deployment is not capable of solving. That said, the coming of simplified tools, advanced employee training (even remotely), and integrated software (SAS) solutions will help solve the complexity and confusion of applying Big Data analysis to solving real business problems. With that said, let’s take a look at some things using Big Data for hotels can accomplish. Today we can price our rooms based on a relevant combination of internal and external data sources and optimize accordingly. By using intelligence on such things as coming local events and conferences, public information on competitor performance, guest past travel experiences, and predicting just who wants to stay at selected location, hotels can shift on a dime to take advantage. Starwood, according to Poulter, used their proprietary data analysis system to gain a direct market share and revenue boost of 20% for some properties. Here’s a very short list of solutions Big Data analytics can in fact solve. “Cleansed” data can eventually power extremely streamlined and powerful decision tools. Utilizing the universe of data available now is not as simple a task as some companies suggest. The biggest and most trusted names in the data business announce stunningly powerful capability, and in the same breath warn against over enthusiasm and unguarded progress. SnapShot is firmly committed along these lines as well. We’re developing amazingly powerful tools, as well as lightweight operation platforms that will jump start a new age of revenue management simplicity. However powerful or useful these new tools may be however, we must put in place the feedback, training, and deployment aspects of the overall business. 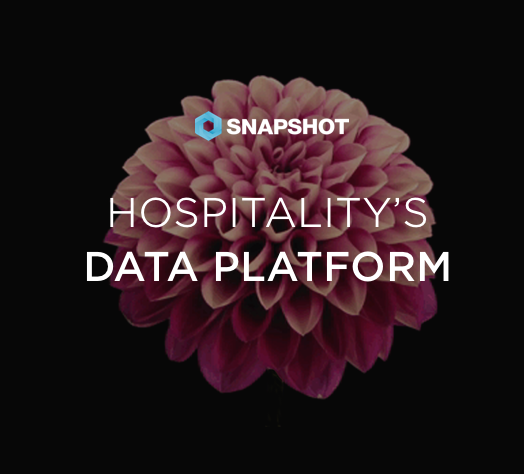 To truly empower hotel revenue analytics, SnapShot has to be dedicated to user friendly tools, and an overall adaptable platform. The litmus test of Big Data isn't how much data can be processed, or how many megabytes or terabytes of information is handled, but how can the processing be simplified. The goal is not to replace human intuition or efficiency, for certainly we cannot, but assisting humans for making data driven decisions is the goal. The famous analogy of "bicycle for the mind" is perfect here, as the tools to use the data are as important as the data. If new technologies help us make faster and more accurate decisions, then they will have a more lasting effect on our businesses and in our lives. Our goal is to make the big problem of using Big Data, into no problem at all.